Love doesn’t destroy us. A lack of love Destroys us. Narcissism is the antithesis of love. The foundation of love is truth. A whole person will insist on having an honest connection with themselves. A person who can love has the desire to live with integrity, be true to their identity and values, they know who they are and respect themselves and others. Whole people possess the desire to adhere to their personal ethics. All these traits stem from a strong connected relationship with yourself (and a higher power). Narcissists are lacking this relationship with “self” and a higher power. They’re floundering inside, looking for a cure on the outside and flit aimlessly about from source to source gathering up approval. They use this adoration to piece together an image of themselves as worthy (perfect) and entitled to receiving applause, approval and validation. This convoluted relationship with self and their fluid identity is NOT a firm foundation for loving or simply being in a position to give to anyone else: Their Children, “friends”, mates, coworkers, neighbors, and mere strangers. Each time they head into a connecting encounter, they approach it with a calculated and predictable pattern of “owning” and working the crowd, focusing on themselves, paying attention to who’s watching, noticing the nuances and vulnerabilities of others and ALWAYS on the angle for a position of power or taking from the encounter. They also can behave in the extreme opposite: being cold and withdrawn when they don’t “feel” like being ON but will nevertheless need to feel that they are in control in the situation. What is guaranteed is that a narcissist will be focused on themselves in every interaction and whoever they are at any given moment is dictated by their desire to use others in order to feel good about themselves and extract what they can from others without giving anything of value in return. We get to know who people are by what they consistently DO. It lets us know who they are. We tend to like people with similar values. When the narcissist is changing to fit every person and situation, you can’t really know what they truly stand for. If you say black, they’ll say white and then next time, If you say white, they’ll say black; just to frustrate you. When narcissists play to all our passions and values, we don’t get to know them as honest, separate people, but rather those who are mirroring and aping us with sinister, selfish intent. We can’t love people we don’t know; not genuinely. After this smoke and mirrors relationship ends, survivors find that they go through two grieving periods: One where we mourn the relationship as we lived it with genuine love for a person we thought we knew, and one for mourning the person we didn’t know: the narcissist unmasked; the REAL person in the relationship. Narcissists don’t enter into relationships with the same ideas about Love, one’s readiness or preparedness, level of responsibility sharing, equality, suitability, fairness, partnership, etc that neuro-typical people think about. Instead, narcissists are very underhanded, myopic and opportunistic. You are either a possible source of supply (+) and will be favored and pursued or will be regarded as incapable of being a source of supply (-) and will be passed over. If you have very strong boundaries, are assertive, are able to spot all the very obvious signs of narcissism that they display, you will not be an attractive mark for the narcissist and will give off a signal of being “turned off” to them; which they, with a heightened sense of rejection, will snuff out in a moment and move on to more vulnerable, fawning marks. If you are offered entry to the “orbit” of a narcissist, the narcissist will work you, tell you everything you want to hear and you’ll be kept there while their self seeking agenda feeds off your energy and keeps their egos boosted until your replacement comes along and they always will. You’ll likely be entirely drained of your once bountiful life force at that point. If you think I’m exaggerating, then you’ve never encountered a true narcissist. The very different “motives” for being in a relationship between a person who desires warmth, intimacy, trust and commitment and the narcissist who approaches the union in an opportunistic fashion, causes some serious and major misunderstandings (fights) or long brooding silences, when these two worlds collide. The empathic partner will be frozen out, disconnected, and saddened while the narcissist will be aware that although you may be complaining alot, you are still USEFUL for things. 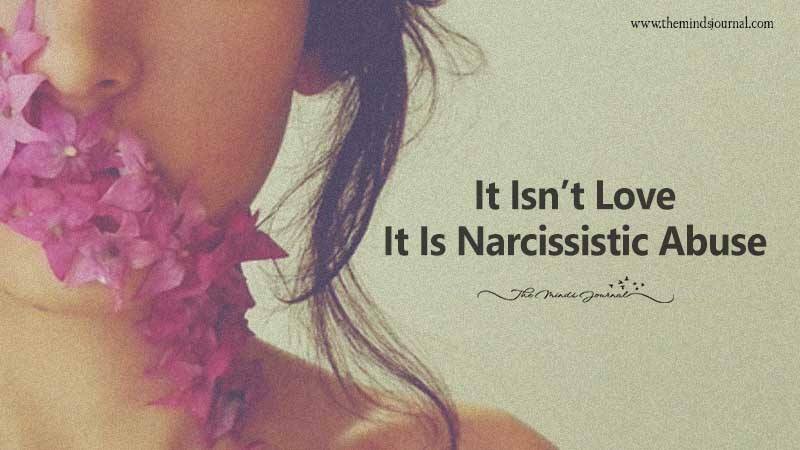 The result is that you won’t feel LOVED by them, you’ll feel like an object to be used, because despite what they’re telling you and you’re denying at this point, this is all you are and will ever be to a narcissist. Every single one of your concerns, feelings, needs and desires are entirely ignored as an unimportant obstacle to the narcissist getting their way; an impetus to their “gain” and their frustration of purpose will result in shaming, blaming, and then punishing you. Your sense of confusion will grow and you won’t find it easy to illustrate why or explain to others what’s going on. The detached narcissist will stand firm in their belief that power over you is their “right”, winning is admirable, and abusive and manipulative strategies perfectly usable tools under the premise “All’s fair in love and war” The problem is that YOU view this relationship as the opportunity to “love and be loved” and the narcissist regards it as a war / competition to “win”.